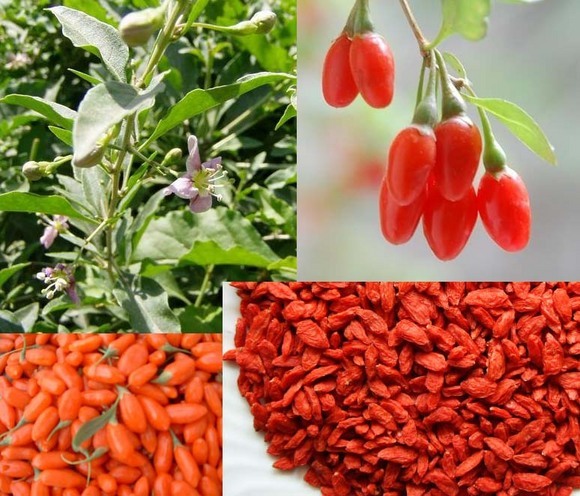 The Goji Berry, also known as Wolfberries (Lycium barbarum/chinense), the Himalayan fruit that contains all 18 amino acids (six times higher than bee pollen), 21 minerals as well as huge amounts of vitamins (A, B1, B2, B6 & E). Gram for gram they are packed with even more iron than steak and spinach and more beta carotene and vitamin C than carrots and oranges, respectively. A true Superfood if ever there was one but also the most fashionable too. The plants are very hardy and cope well with salt winds and even droughts too so are perfect for most climates and most people. I’ve personally never even tried a fresh Goji Berry, only ever had them in their dried format but they were lovely, I can’t wait to plant a bush this year and eventually reap the rewards in the future. This is my little girls (coming up 2) second favorite fruit behind Blueberries, she’ll be more excited than me to try them. It’s gonna be lovely to show her them growing on the plant. She invaded the greenhouse most days eating my tomatoes from the greenhouse last year, it was so cute but I don’t think she’ll be waiting till the berries are ripe, wish the plants luck for me. It’s a pink Blueberry that’s reputed to be twice as sweet as your average Blueberry, what more reason do you need to try it. It’s named ‘Pink Lemonade’ and it’s the result from years of development in the 1970’s by the United States Department of Agriculture. It appears to have become popular with home growers in recent years due to the growing research into the power of cancer-fighting antioxidants from so called “super-fruits” like blueberries. People speak of added beneficial effects that can be gained from certain colour pigments in fruits like the colour purple for instance, maybe pink has something worth having too. I think it’s potentially a bit of a novelty for those looking for something a bit different BUT I don’t see why it’s not worth having in your collection, diversity is beneficial is it not? The fruits begin green, then become speckled in pink and then take on a rich pink colouring as they mature in August and September. The plant also has decorative merits due to it’s fiery orange foliage in the autumn. I know my little girls going to completely love these, Blueberrys are already her favorite fruit. Just hoping I won’t have to wait too long before we get a harvest to taste, they look delicious. This edible honeysuckle produces fruits that can be eaten fresh or used in pies and muffins. High in Antioxidants, Vitamin B & C, they taste similar to blueberries with a slight honey after-taste. The little bushes only reach 90cm (3ft) high and are very hardy, drought resistant and easy to grow. Two plants are required for pollination purposes. Get a good variety of different plants in your garden! Make some Honeyberry Muffins for your self and friends, something you won’t find on a supermarket shelf. 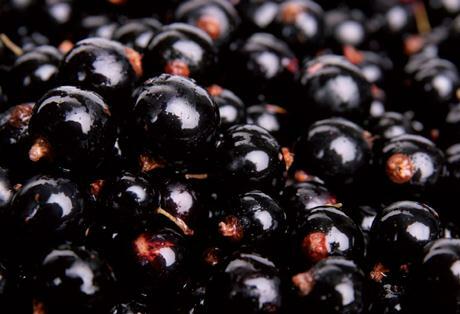 Healthiest Fruit In The World: Aronia Berry? The berries are too sharp to be eaten raw but are ideal for sauces in summer puddings or blended into juices and smoothies. The plants are very hardy, easy to grow and will do best in moist, fertile soils in sun or part shade. Season: late August – September. Author AndrewPosted on November 30, 2013 November 30, 2013 Format ImageCategories Food Forest, FruitTags antioxidants, Aronia, Aronia Berries, blueberries, Food Forrest, Healthiest Fruit, Super fruit, Superfruit, vitamin c2 Comments on Healthiest Fruit In The World: Aronia Berry?